An external review is advising UBC’s philosophy department to address its prominent gender imbalance among undergraduate students. According to UBC Planning and Institutional Research, only 32 per cent of philosophy undergraduates at UBC are women versus 64 per cent in the faculty of arts as a whole. Of the six students enrolled in UBC’s Masters of Philosophy program, only one is female. These statistics match an overall gender imbalance in the discipline. In the United States, 33.7 per cent of philosophy undergraduate degrees were given to women in the 2015/16 school year, according to the National Centre for Education Statistics. UBC’s philosophy department head Dr. Matthew Bedke was stumped as to why. Philosophy professor Dr. Christina Hendricks was also unsure, but suggested it could be due to a combination of factors. She noted research claiming women turn away from philosophy when they see it as a male-dominated field that requires innate talent to succeed in. Both Bedke and Hendricks also raised the possibility of implicit bias against female students that discourages them from applying. “Maybe professors might encourage male students more or see them as more promising than female students without even recognizing that that's what they're doing,” said Hendricks. She doubts the imbalance is due to differences in interests between men and women, noting lower-level undergraduate philosophy courses have a closer gender balance. “There’s interest to some degree, but then the interest drops off,” she said. Fourth-year philosophy student Emily Laurent-Monaghan said female philosophy students are sometimes wary because of the field’s male-dominated history. “Having this consciousness as an other, in a world where thinking subjects have been de facto the enterprise of a men, can definitely serve as a crisis of doubt,” Laurent-Monaghan said. She says UBC’s department is accepting, but admits she sometimes feels this doubt herself. “My commitment to the field and to my motivations therein have helped me rise above, but I can definitely see this doubt reflected in many of the students, even though they might not be conscious of it,” she said. She suggested that the faculty should try diversifying its syllabi to address the issue, citing other examples of universities with greater diversity in both content and enrolment. To address this imbalance, Bedke is considering sending out letters to students who do well in lower-level philosophy courses to encourage them to major in it, or starting a UBC chapter of Minorities and Philosophy (MAP), an organization which examines issues of diversity within the discipline. 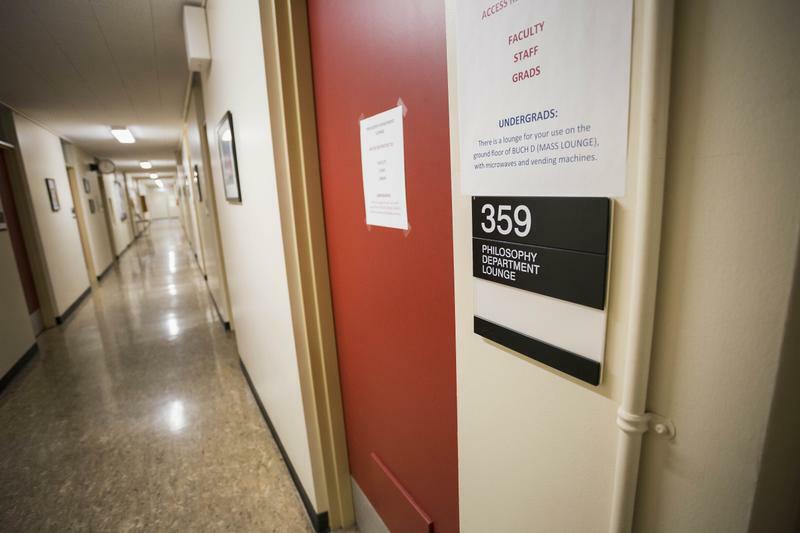 The role of the philosophy department equity head, which is currently held by professor Dr. Alison Wylie, will also be revised to study why this imbalance exists. “The hope there is that will increase the number of women in the upper division courses, just by encouraging everybody who is doing really well,” said Bedke.